Joseph was an engineer most of his life, working for Uniroyal Rubber Co. and Balfour. Later in life, he was the owner and operator of Modern Paper Box. He was on the Troop Committee for BSA Troop 76 in Providence for over 20 years. Besides his wife of 56 years, he is survived by his sons, Joseph A. Gabrey, III, Steven W. Gabrey, and his wife Janet, and David E. Gabrey. 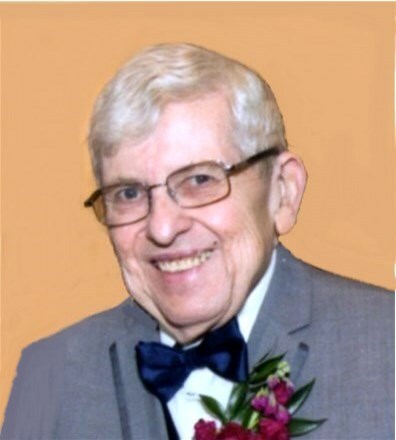 Visiting hours will be Tuesday morning, April 10, 2018, from 8:30 to 9:30 a.m. at the Maceroni Funeral Home, 1381 Smith St., North Providence, followed by a Mass of Christian Burial at 10 a.m. in St. Augustine Church, 639 Mt. Pleasant Ave, Providence. Burial will follow in St. Ann Cemetery, Cranston.